I am kicking off this Memorial Day weekend early! Do any of you have painting projects on your list? If so, I wanted to compile a few resources of places to start when picking out colors. I know it can be a little overwhelming. First off, here are some popular colors to start with that will work for any room in your home. 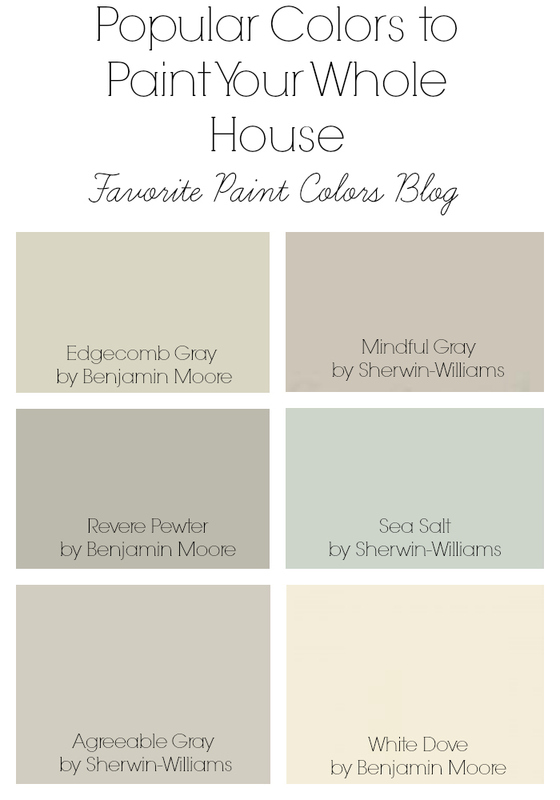 These are tried and true colors and used by many home bloggers and interior decorators. See more details from this post here. 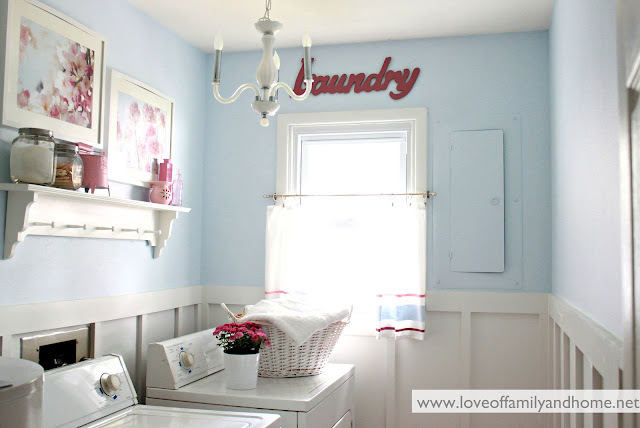 Next up, I have categorized all paint by room and color that you can see on the side bar and below the pictures listed in this post. Are you needing exterior ideas? Click on the link below the picture and you will find dozens of different exterior paint colors. The same with bathrooms, kitchens, bedrooms, etc. Last but not least, there are some great sales this weekend on paint. Here are some of the major brands that are offering discounts. Remember, you can color match! If you love a Behr color but want it in Sherwin-Williams paint, they most likely will have it in their database. Have a wonderful Memorial Day weekend! I hope it is filled with sunshine and watermelon – let the summer begin! So excited it is here!